اندازهٔ این پیش‌نمایش: ۸۰۰ × ۵۳۸ پیکسل. کیفیت‌های دیگر: ۳۲۰ × ۲۱۵ پیکسل | ۶۴۰ × ۴۳۰ پیکسل | ۱٬۰۲۴ × ۶۸۹ پیکسل | ۱٬۲۸۰ × ۸۶۱ پیکسل | ۱٬۸۰۸ × ۱٬۲۱۶ پیکسل. 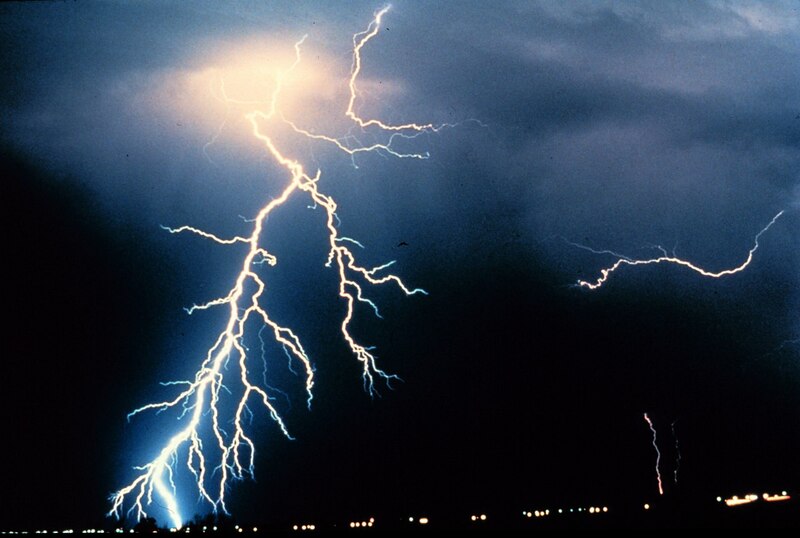 English: Multiple cloud-to-ground and cloud-to-cloud lightning strokes during night-time. Observed during night-time thunderstorm.